[Home Sweep Home 2018] Here's How Your Family Can Give Back To Society! Calling all families: do your part for the community by participating in Home Sweep Home 2018 on 14 July! 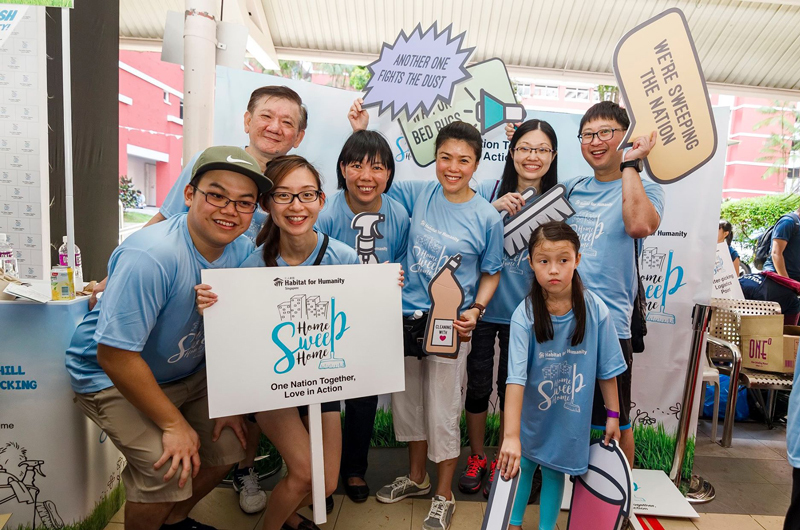 Organised by Habitat for Humanity Singapore, the second edition of this island-wide clean-up event also sees the inclusion of Market4Good, a carnival offering retail options supporting social causes, an activity-filled Habitat Village, and a Children’s Art Workshop. 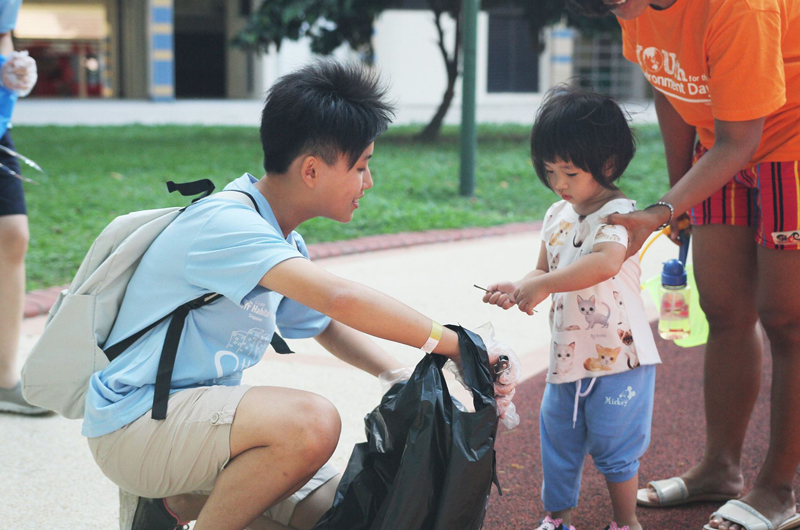 Lend a helping hand by signing up for litter picking or home-cleaning to rejuvenate community spaces, and to help improve the living conditions of vulnerable elderly and families living in rental flats. Open to participants of all ages*, look out for litter strewn in common spaces and sort them into trash- or recycling- bags. Register here to volunteer. *Children aged 12 and below must be accompanied by a parent of guardian. Update: all home cleaning slots have been filled. Work in teams of two to five to clean and paint rental flats. All participants must be at least 15 years of age on event day. Register here to volunteer. Update: all litter-picking slots have been filled. At Home Sweep Home’s very first carnival, visitors can expect retail options from home grown social enterprises. Think a DIY potpourri bar, handmade merchandise and more. Plus, you can also pop by the Habitat Village for more activities, such as “building” a life-size Habitat House, and VR fun! And, you can get crafty (for a good cause!) at a Children’s Art Workshop. That’s not all! 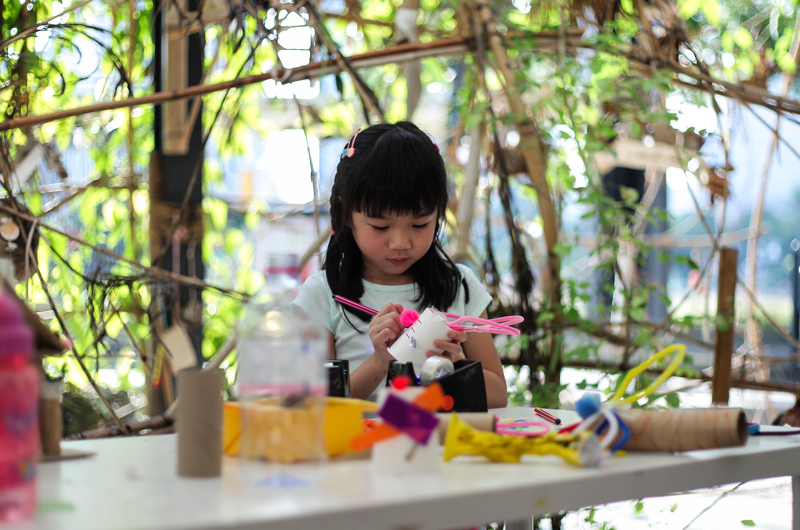 As part of Home Sweep Home 2018, Habitat Singapore is also teaming up with Playeum to organise Maker’s Experience, an up-cycling art workshop for the kids. Open to children aged four to 12 years old, your kids will have the opportunity to create their own unique crafts from upcycled materials such as plastic bottles and fabric. Head to www.habitat.org.sg/home-sweep-home for more event details!